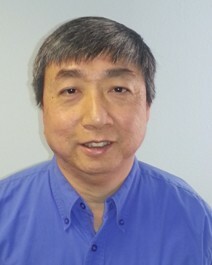 Jackson Tung has more than 28 years of professional experience in the semiconductor industry. Prior to Cloudvue, Jackson was head of the hardware development team for RemoteFX at Microsoft through the acquisition of Calista Technologies. Jackson held various technical and management positions at Fangtek, National Semiconductor (through acquisition of DigitalQuake), Oak Technologies, Silicon Magic, Chrontel, Chips and Technologies, and LSI Logic. He received his BS and MS in Electrical Engineering from Massachusetts Institute of Technology. Cloudvue Technologies provides user-end hardware enhanced solutions for cloud and server-based computing. As private and public sectors look for solutions to replace their obsolete PC's, more are turning to Virtualization Clients as alternative solutions. On top of being a green solution, Cloudvue products are easily managed, secured, deployed, and provide the lowest total cost of ownership (TCO) for computing needs of all scales. CEOCFO: Mr. Tung, what is the vision at Cloudvue Technologies? Mr. Tung: The idea is that in some sense that the world is running in a cycle. We are now going back to the �70s and �80s, with mainframes and dumb terminals and before the rise of the personal computer. We think the days of the �PC on every desk� is gone. It is simply too complicated for people to maintain. We think that the world is going back to the days of the servers and dumb terminals and Cloudvue will be providing the technologies to support that transition. CEOCFO: What do you see or recognize that gives you the feeling that this is where we are headed? Mr. Tung: There has been a lot of hype over the last few years about moving to cloud computing. I think we are part of that movement. The problem nowadays is that a lot of homes have one or more PCs, and it is a nightmare for everyday folks to maintain these PCs. I am sure we all have this experience. Every week there are patches that you have to install, and sometimes even with the patches it is still very hard to keep the PC running well. We think the days are coming where instead of buying a PC, we will buy a thin client and connect to a subscribed desktop in the cloud, or to the desktop server in the corporate data center. CEOCFO: How are you taking advantage of this potential trend? What are you doing as a company? Mr. Tung: Most of the team were part of the Microsoft Windows Server team. We were part of a company that was acquired by Microsoft to enhance desktop remoting capabilities. Microsoft had no plans to make anything on the hardware side. We were part of the hardware group. We believed in the potential for remote and cloud desktops. People will move to a remote desktop if the experience with a thin client is the same as their experience with a normal PC. This will be possible with hardware acceleration. We were part of the team that developed the hardware technologies to be compatible with the industry standard Remote Desktop Protocol at Microsoft. We are simply deploying the technologies that we helped develop. CEOCFO: Your website shows a variety of products and solutions. What kinds of things have you developed, are still in the development process with or have you commercialized? Mr. Tung: We started with developing a chip for the technology. We were planning to partner with larger companies to bring it to market. What we are seeing now is we have to develop the complete system and deploy it in order to encourage the larger companies to come forward and adopt the technology. One of the products that we have done is a four display box which can allow four users to connect at the same time. We think that has a big potential for markets like education, especially in third world countries where cost is a major issue. This box can connect four monitors, four sets of mouse and keyboards. Four students can sit in front of it and connect to the server. A classroom can have one cheap PC as server, and all of the students can connect to it. We are the only thin client solution that can support 4 users simultaneously because we are processing the data using our chip. This solution did not make as much sense for commercial enterprises. For them, cost is not as big an issue. So corporate ITs will choose to use PC-like devices, also called rich clients, to access the remote desktops and get the benefits of virtualization that way, but their desktop servers are probably still in the corporate data center. Essentially, the PC-like device chosen will not have any software or company data on it accept the connection software. We are expecting that over time even the corporate ITs will move away from the rich clients. CEOCFO: Is the industry aware of what you are doing�the potential users of your products, do they know you exist? Mr. Tung: That is part of our problem. The larger thin client companies are aware of us. We have talked to quite a few of them. Like I said earlier, most of thin client companies are targeting enterprises where most of the current shipments are. So we are probably not a good fit for them, at least not at the moment. The ones that we are trying to reach are probably more of the smaller developing companies, especially in the third world markets. We actually showed our products at Computex in Taipei and also at TechEd in New Orleans just recently. So people are starting to be more aware of us and we are starting to get more interest by companies in China. CEOCFO: How will you continue to expose the product? Mr. Tung: I suspect that we have to do more road shows, go into conferences and demonstrate the product to make people more aware of it. I think that is probably the only way; and then we will also go into partnerships with companies in China so that they can deploy. It just seems like they are probably the most efficient in deploying new products nowadays; or at least the most willing to try. CEOCFO: Do you have a specific idea of whom you might partner with, such as Chinese companies or are you still sort of in the specking it out stage? Mr. Tung: Probably more of the specking out stage. We are kind of exploring. In some sense, if some of them start deploying, I think others will approach us. The problem is there are so many of these types of companies in China. We made an attempt late last year and made a trip to Shenzhen to try and find partners, and we were not very successful. But it looks like the current ones we are talking with seem to be much more interested and they are in the thin client market already. I guess it probably has to be the other way around. In some sense, they have to find out about us and they have to approach us. That is why I think demonstrating our products at shows and conferences will help a lot! CEOCFO: Absolutely! Are you funded to continue before you actually are able to commercialize? Will you be seeking funding and partnerships and anything along the way? Mr. Tung: We started by being self-funded. We raised one round through an individual investor, but he has a company in a similar market and is also a customer. So that is why I think he was interested in funding our company. We are looking for more funding. In order to grow the volume we do need more funding. CEOCFO: Why should investors and people in the business community pay attention to Cloudvue Technologies? Mr. Tung: We are ready with the right technology at the right time when the world is just about to go through a massive transition. There is a lot of anticipation that the cloud computing and cloud desktop market is going to take off. The problem is that it does not make sense to use a PC to connect to a cloud desktop. An alternative solution is needed. People speculate that the user will use tablets to connect to the desktops. That makes sense for many of the things that people use PC, but if you are trying to do real in-depth work, a ten-inch tablet touch screen is probably a little bit too small and too inefficient. What we provide is something cheap and disposable that you can connect to your remote desktop. I think we are at the right place and at the right time. The market is starting to develop. Investors should take notice and invest in us, and we will be ready with the optimal solution when the market will take off. A lot of the big players are in the cloud desktop market, like Microsoft and Amazon.